Prime Minister Benjamin Netanyahu set off for a two-day trip to Paris and Brussels on Saturday night, criticizing European “hypocrisy” and “double standards” in remarks he made to the press before take-off. 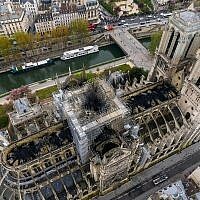 Boarding the plane to Paris, Netanyahu said that while he ascribes “great importance” to Europe, he could not tolerate how some countries were quick to slam US President Donald Trump’s recognition of Jerusalem as Israel’s capital last week, but failed to condemn rocket fire from Gaza into Israel in the past two days or Palestinian incitement. “I am not prepared to accept this hypocrisy, and as usual at this important forum, I will present Israel’s truth without fear and with head held high,” he added. Netanyahu will be meet in Brussels with European Union leaders on Monday. 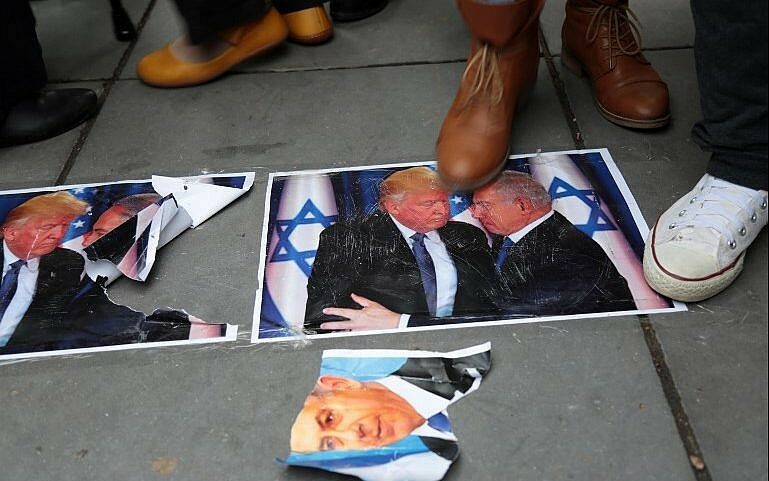 Protests broke out in much of the Muslim world following Trump’s declaration, in a speech on Wednesday, that he recognized Jerusalem as the Israeli capital and would ultimately move the US embassy from Tel Aviv to Jerusalem. 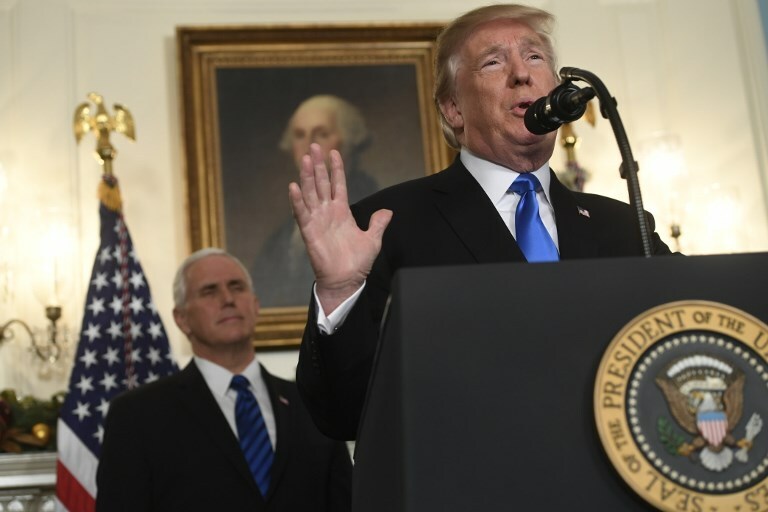 Trump stressed that he was not specifying the boundaries of Israeli sovereignty in the city, and called for no change in the status quo at the city’s holy sites. But the Palestinians responded furiously. Palestinian leaders called for “days of rage” on both Friday and Saturday in the West Bank and Gaza, which saw thousands of Palestinians clashing with Israeli security personnel in different areas, and terror group Hamas urged a new intifada. On Friday night, Gaza-based terror groups fired rockets at Israel, with one landing in the southern town of Sderot; Israel responded with air strikes on Hamas targets. On Saturday, the Hamas-run health ministry said two Hamas gunmen were killed in one of the strikes on a Hamas facility in Nusseirat in the central Gaza Strip. The rocket on Sderot caused minor damage and no injuries. 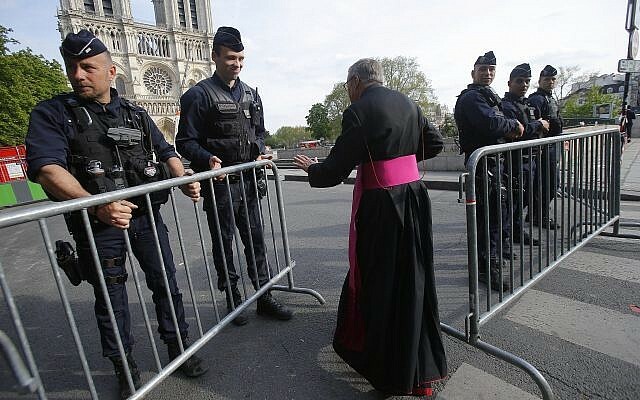 Some European countries rallied to Israel’s side. Hungary on Thursday blocked a joint European statement that would have condemned Trump’s move. 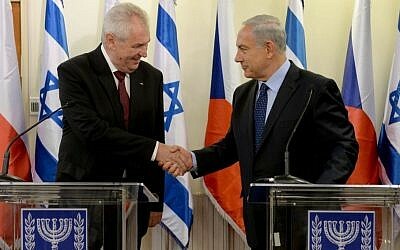 The Czech foreign minister on Wednesday said the Czech Republic recognized Jerusalem in the pre-1967 borders. The country’s president, Milos Zeman, on Thursday expressed support for Trump’s declaration, arguing that the Czech Embassy should have been moved to Jerusalem years ago. Macron and Turkish President Recep Tayyip Erdogan reportedly agreed Saturday on the need to counter Trump’s move, and vowed to urge Washington to reconsider. 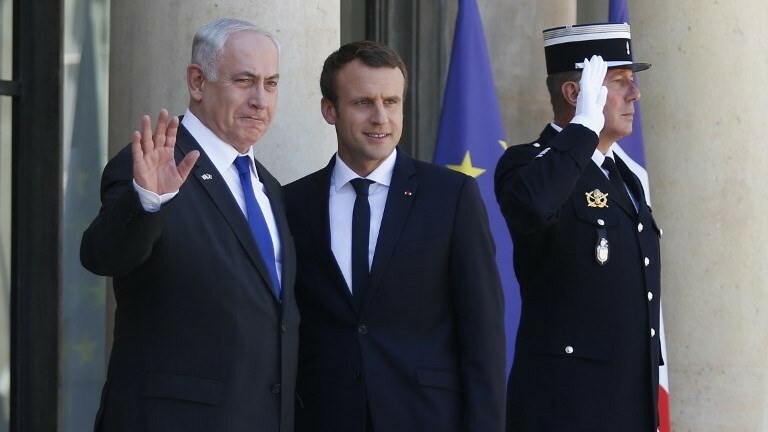 Netanyahu is set to meet with Macron at the Elysee Palace in Paris on Sunday. A day later, he will meet senior European Union officials and the foreign ministers of all 28 member states in Brussels, the first such meeting in over 20 years. 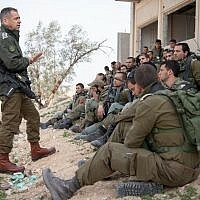 An Israeli official told the Times of Israel that Netanyahu is also intent on updating them on Iran’s inroads and entrenchment in neighboring Syria, where a civil war on Israel’s borders has been raging for seven years. 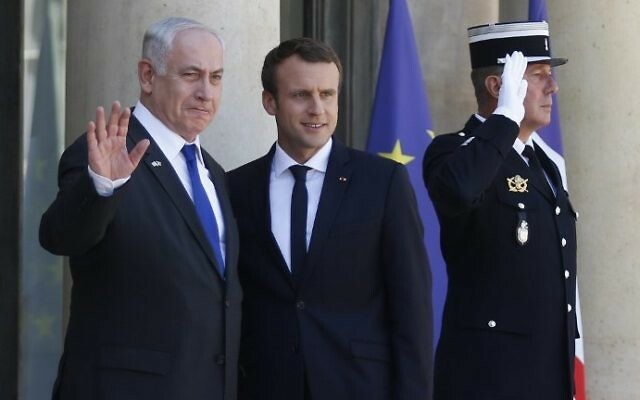 Netanyahu is expected to try to convince Macron to reconsider his support for the 2015 nuclear deal with Iran, and bring up France’s suspected stalling of Israeli efforts to have the EU convene another EU-Israel Association Council, a ministerial-level forum that last took place in 2012. When the two last spoke last month, the discussion largely surrounded the mysterious resignation, since withdrawn, of Lebanese Prime Minister Saad Hariri. This past summer, Netanyahu was caught in a hot mic moment blasting Europe’s “crazy” policy on Israel. In a closed-door meeting in Budapest in July with the leaders of four Central European countries, Netanyahu said “the European Union is the only association of countries in the world that conditions the relations with Israel, that produces technology in every area, on political conditions. “It’s crazy. It’s actually crazy,” he said, referring to the EU’s insistence on conditioning some agreements with Israel on progress in the peace process. 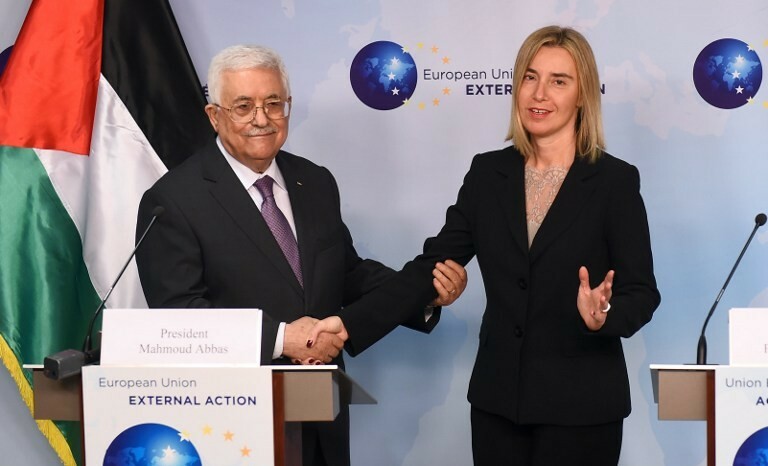 He referred the EU-Israel Association Agreement, which has not been renewed since 2000. 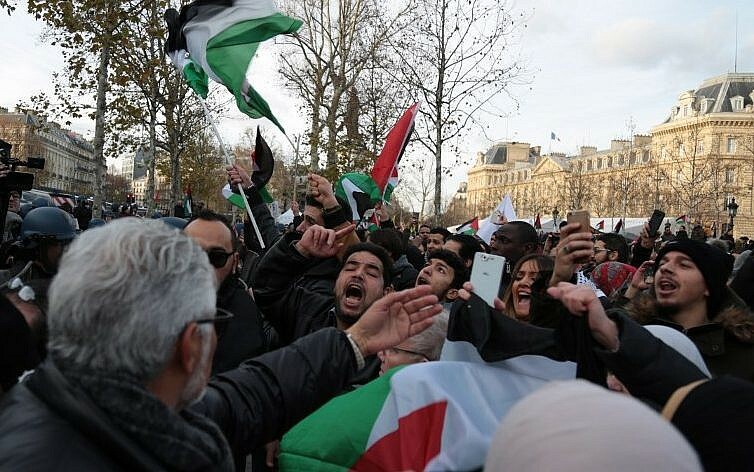 In Paris on Saturday, hundreds of pro-Palestinian protesters demonstrated against Netanyahu’s visit, calling to boycott Israel and decrying Trump’s decision to recognize Jerusalem as the capital of Israel.